Do you want to create an aar library to make other android developers use it? This post describes the steps necessary to publish an aar to maven repository. This step by step guide showing all the necessary infomration from the beginning to the end. 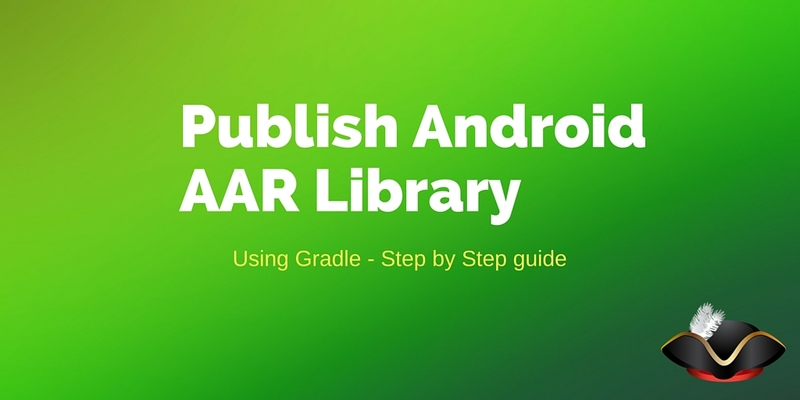 There are several steps to follow before publish the Android Library as AAR. This steps are necessary to create the library and then to sign it so that your library can be identified. So the process involves the step of creating a private key and of course modify the gradle files. The step 1 is very easy and you can follow this official guide, please notice that before you get the permission to upload your files usually you have to wait for two business days after you opened your ticket. return hasProperty('nexusUsername') ? nexusUsername : ""
return hasProperty('nexusPassword') ? nexusPassword : ""
notice that the key id must be the same showed in the keys list. …if every things is correct the new project will compile. Your library can be distributed as jar too so you should provide also this format. How do you create the signing key on Windows and where do you put your credentials for the Sonatype Repo? And how do you install it in your local maven repository ? There's also a much simpler and easier way to publish your project: https://JitPack.io. Basically it builds the project for you and exposes it as a Maven/Gradle dependency. I didn’t have the need to use dependencies in my library. All the dependencies are included using gradle. Did you check if the source package is correctly generated? I used a script similar to this a while ago and the source package was utterly incomplete: missing resources and other stuff. Yes, I used the same scripts to publish my library to Sonatype/Maven. My library Weatherlib is published correctly. I had to define the isReleaseBuild function. Could not find property ‘allJava’ on source set main. Seems like it is based on an old gradle / gradle plugin version? It could be! If you find out that the script is out-of-date and you find the right way to solve it, please post the solution here.